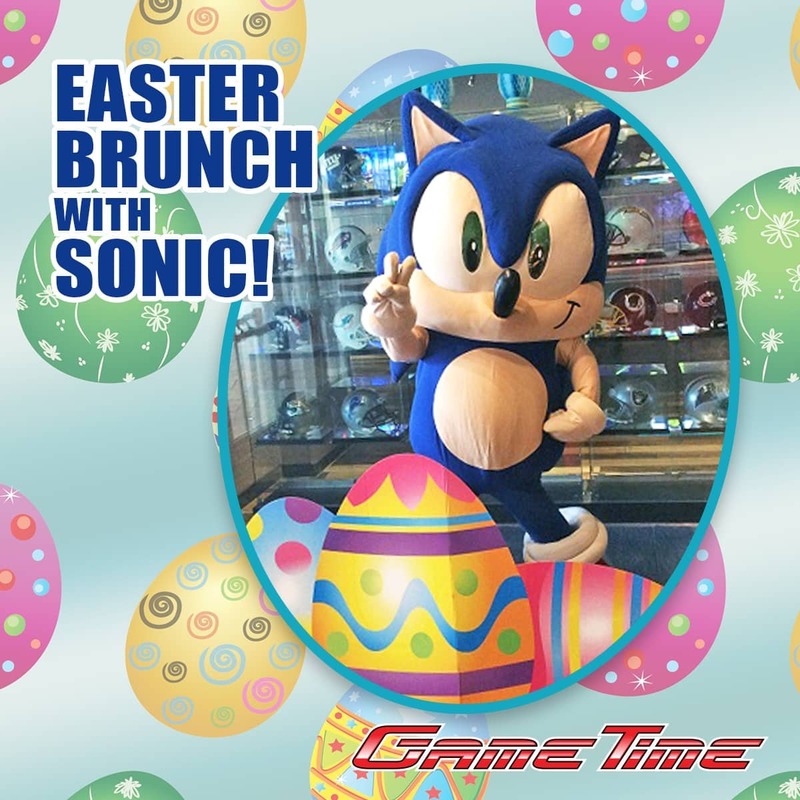 Join us at GameTime on March 31st & April 1st 10am-1pm for Easter Brunch with SONIC! Take a picture with famous Hedgehog in a fun and festive setting while the kids get a sweet surprise from SONIC’s Easter Egg Basket. Enjoy any item from our delicious Brunch menu + a $15 All Access game card for only $16.99!